No listings yet - add one! Author - Route 66 located mystery fiction books. Handmade soap, body & bath products and candles. Prints are available in any size and either framed or unframed. Pricing is in the $50 to $100 range. We manufacture a very unique bottle opener that looks like a old gas pump that has Route 66 on the globe, it's the only one of its kind. We manufacture Route 66 3 dimensional wall signs and clocks. Our products are one of a kind and made in the USA. We publish a bi-monthly online magazine dedicated to bringing attention to small businesses along Route 66. Limited Edition Prints "Burma Shave" Double Matted Nostalgic Images Of The The Nostalgic Values Along The Mother Road. 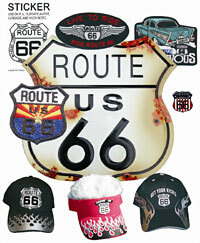 The largest line of Route 66 patches including many exclusive & licensed designs. Route 66 caps, hats, visors, pin, & metal signs. Do you have something you want to sell that is related to Route 66 or could be marketed to customers along Route 66? Register for free and tell us about your products or services. Description: Please describe your business and what types of products you sell. Is there an image representative of the products you sell that you would like used in your directory listing? If so please enter url (web address). To get the url, you can right or alt click on the image and select "Copy Image Location" and paste that in this box. In what country are your goods made? What category does your business best belong in? Select multiple categories if more than one applies. What is an appropriate sub-category for your business? Would you like to receive our e-newsletter with helpful articles and news? 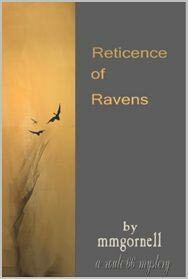 Published several times a year. You can usubscribe at any time if you change your mind. View sample issue of Webinar Resources newsletter. Copyright © 2011-13 Webinar Resources. Free url shortener and QR code generator at www.mobexme.com.